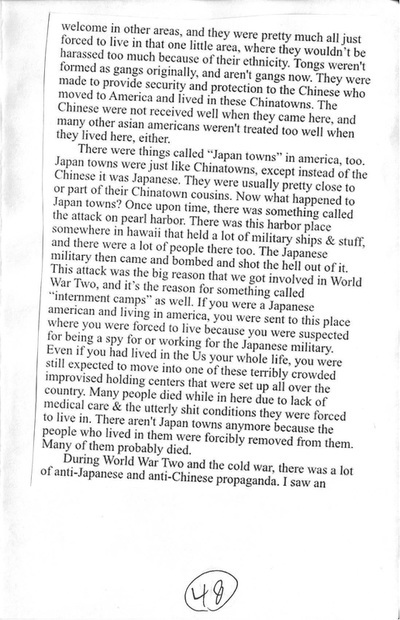 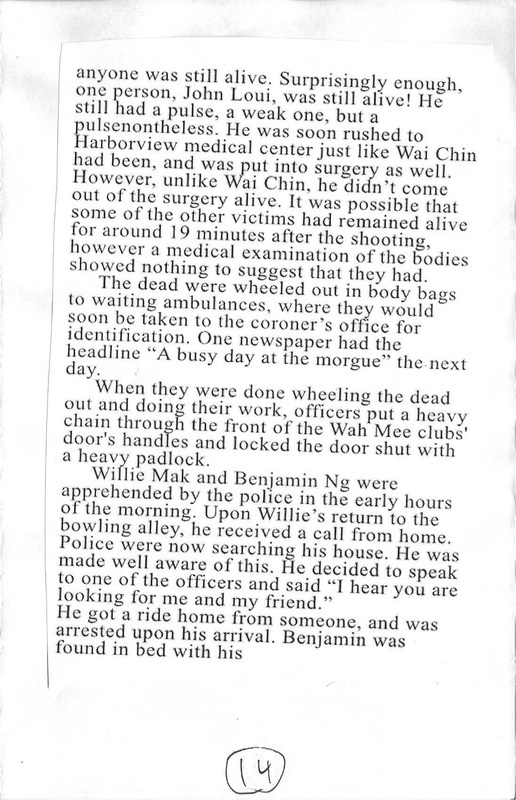 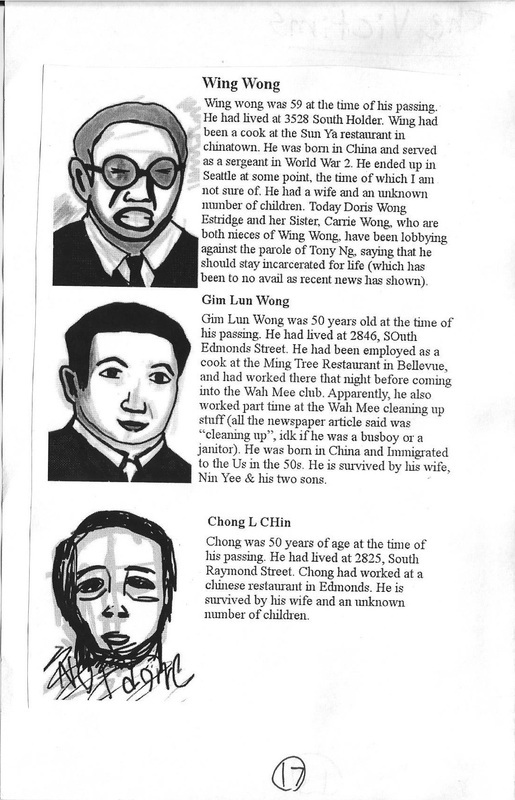 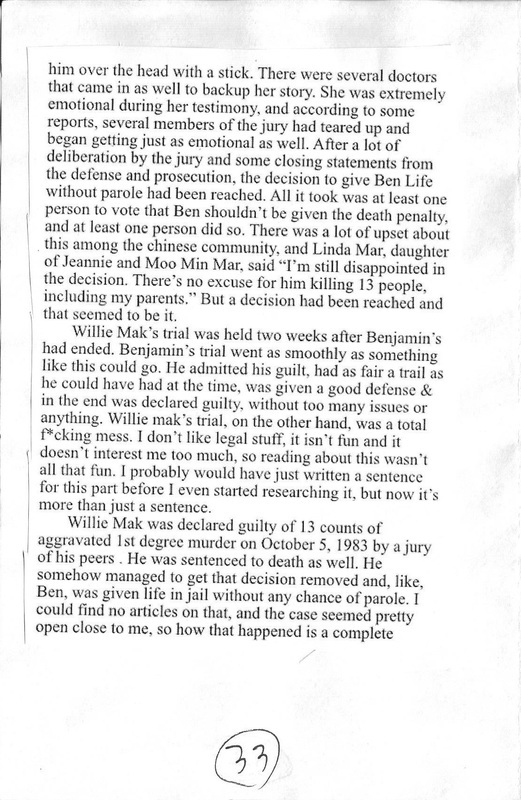 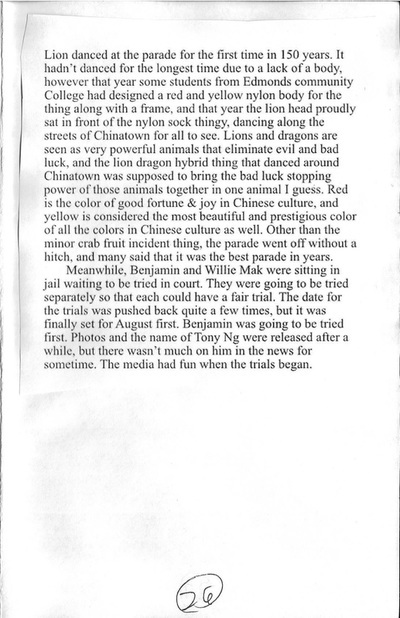 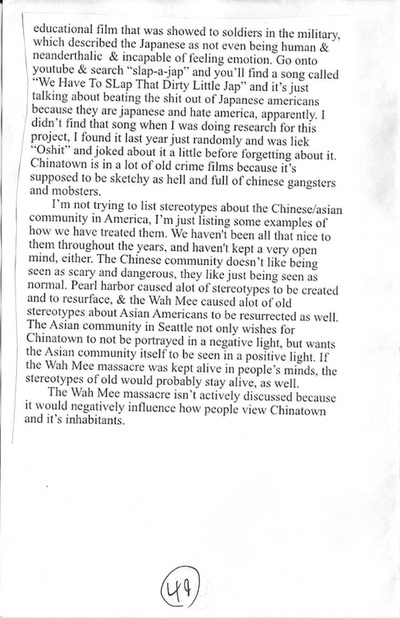 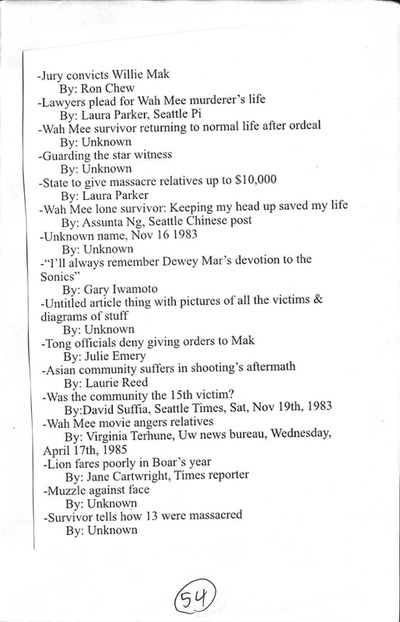 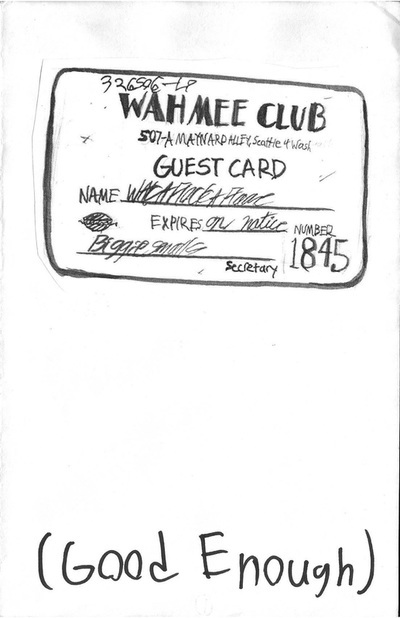 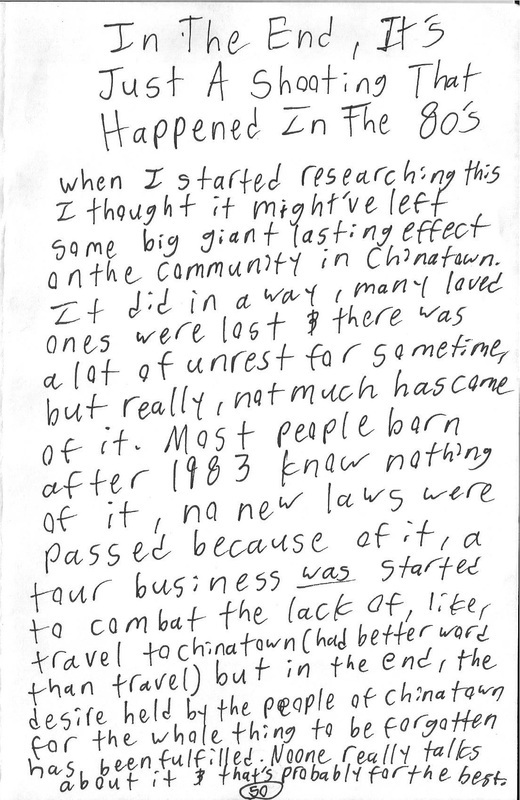 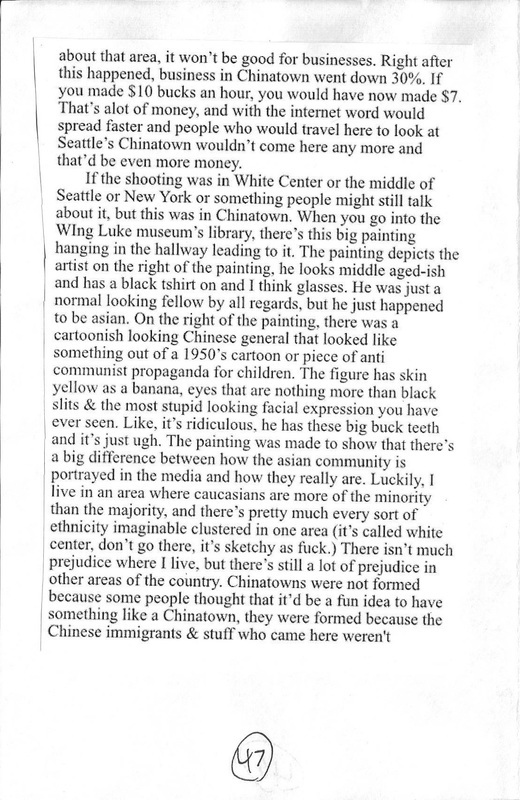 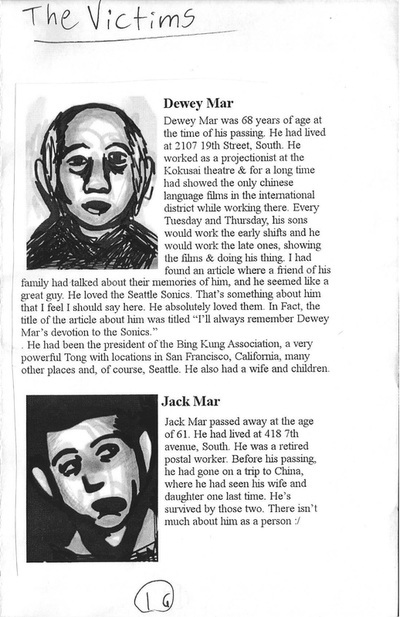 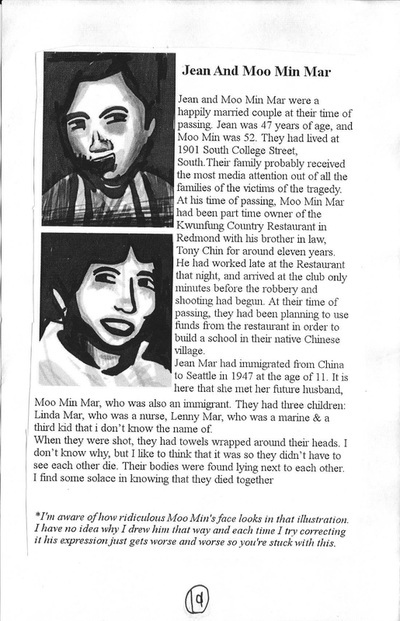 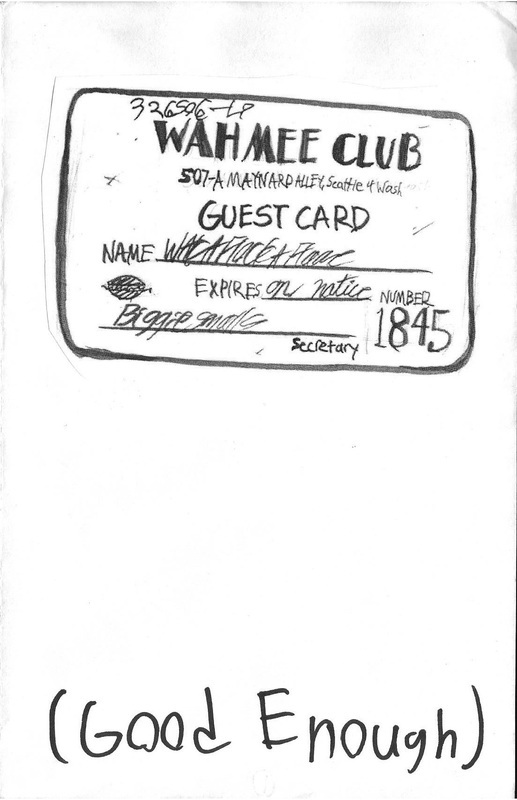 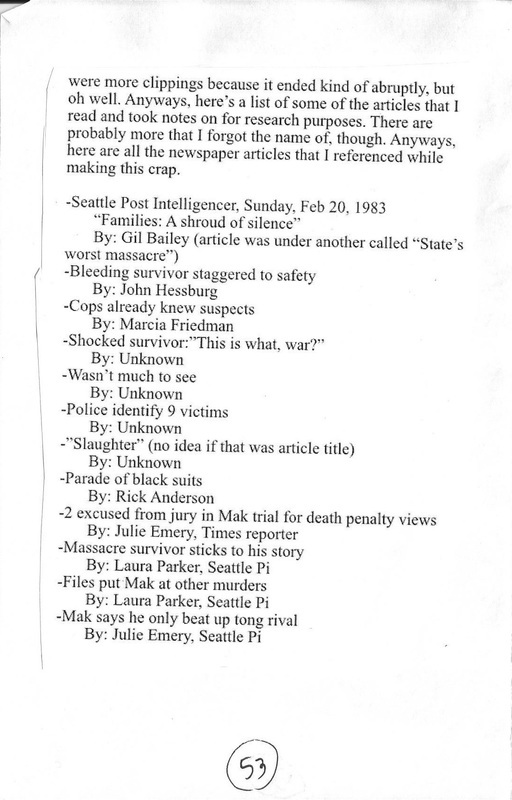 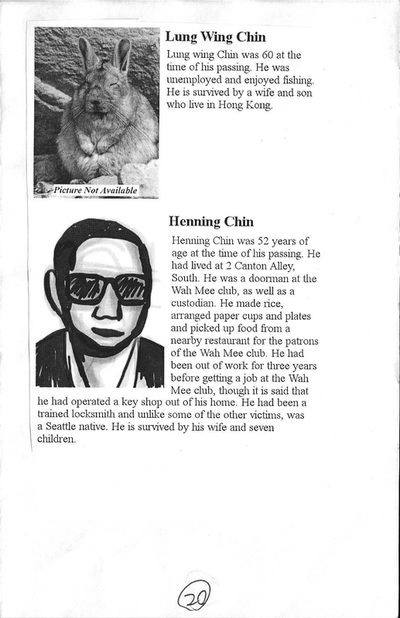 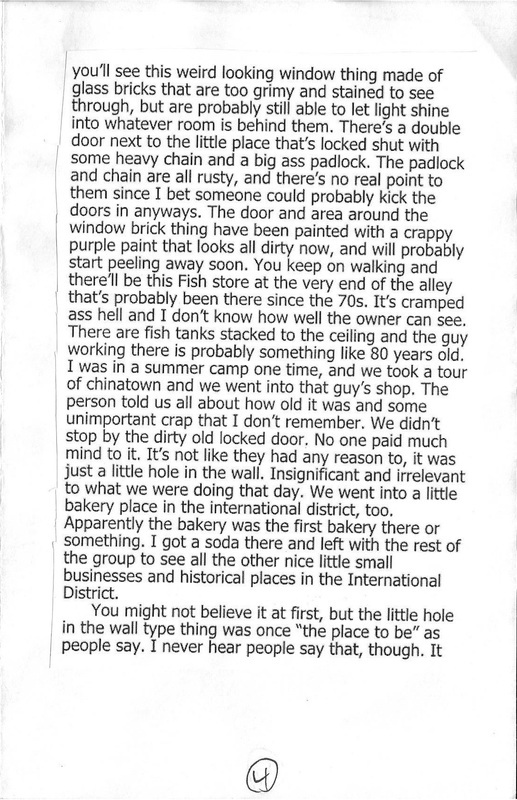 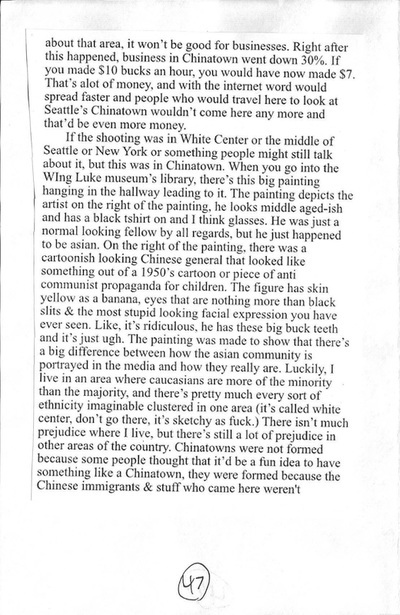 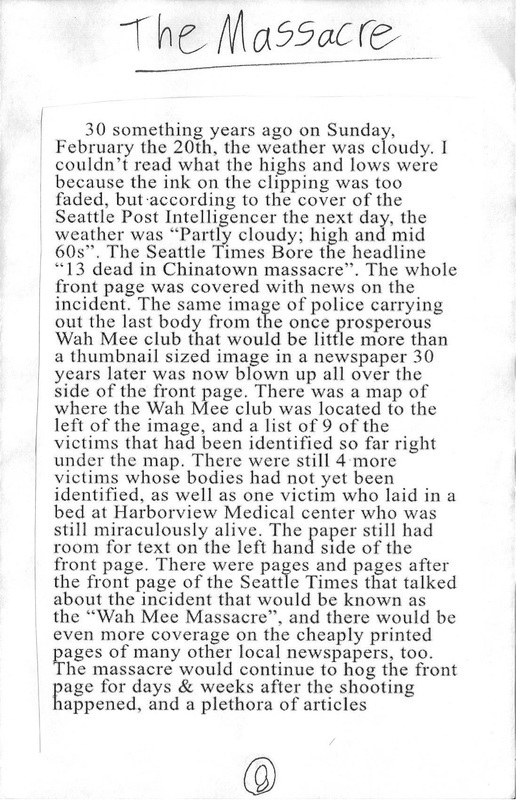 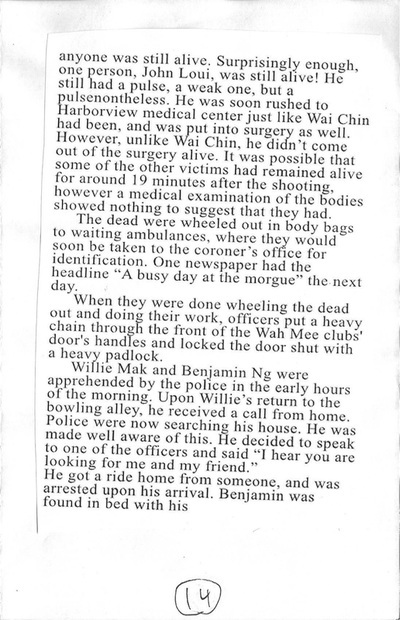 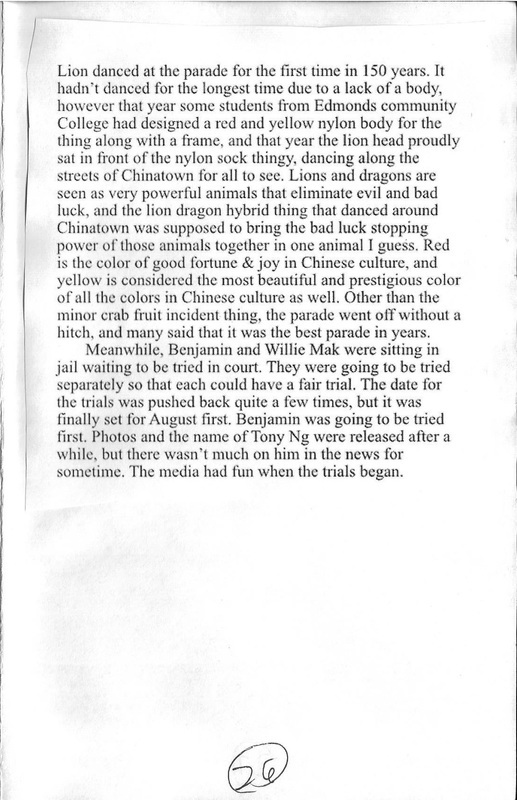 This is a zine that I made in my sophomore year of high school about the Wah Mee Massacre. 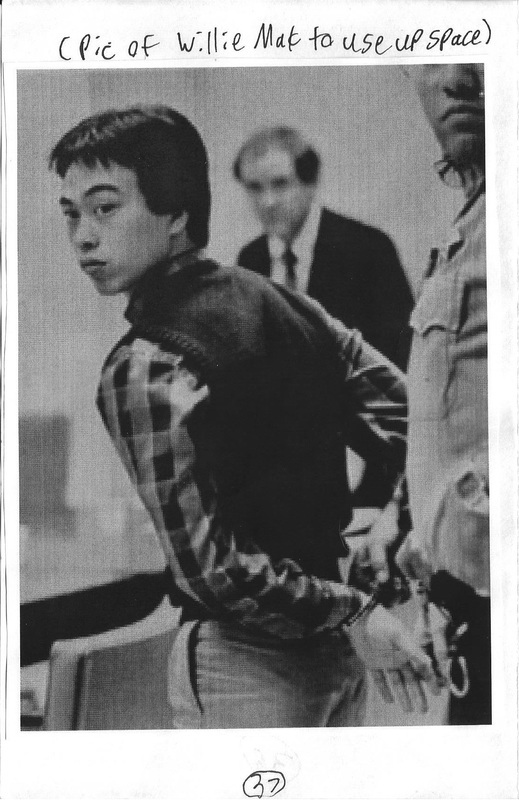 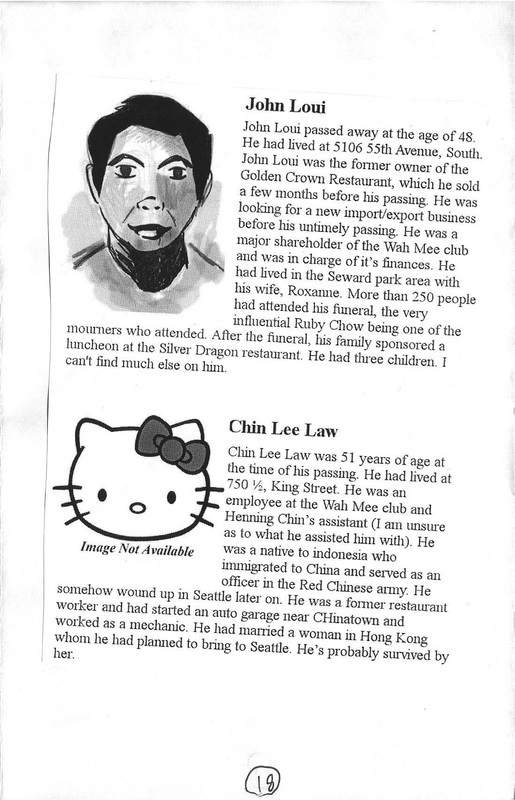 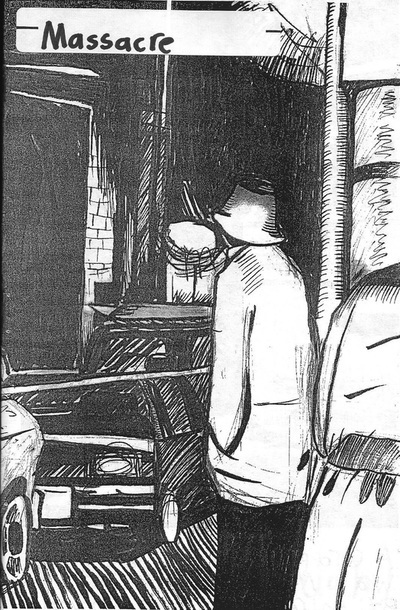 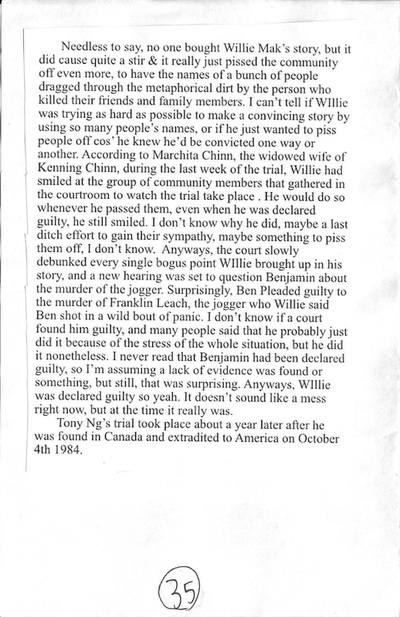 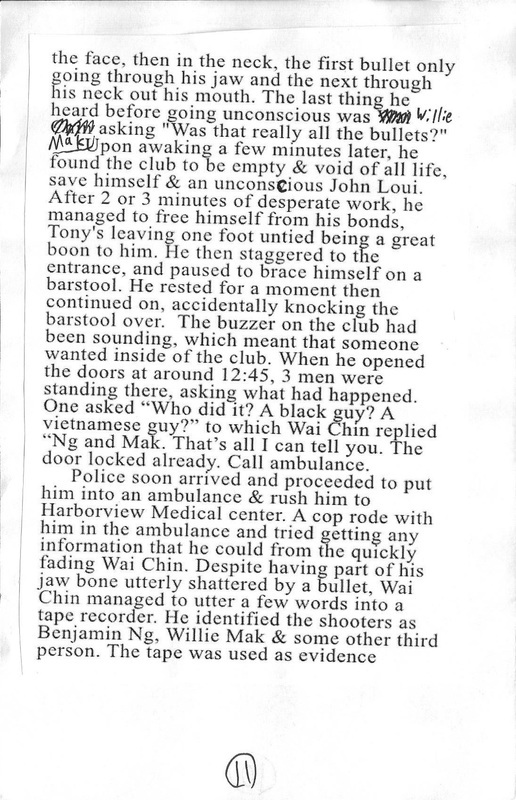 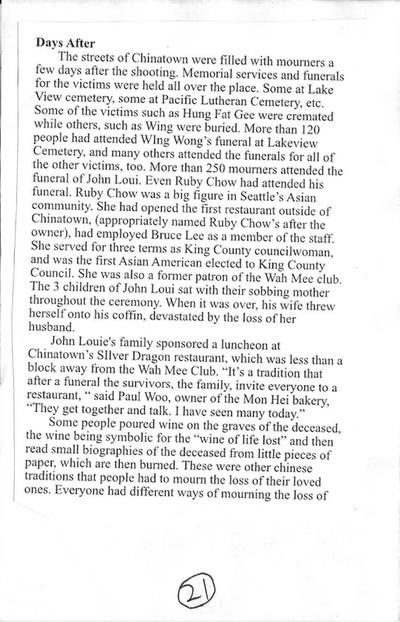 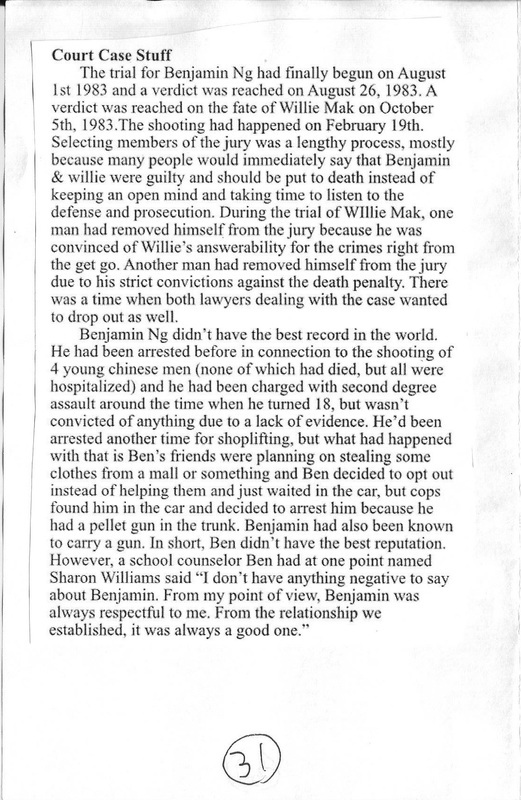 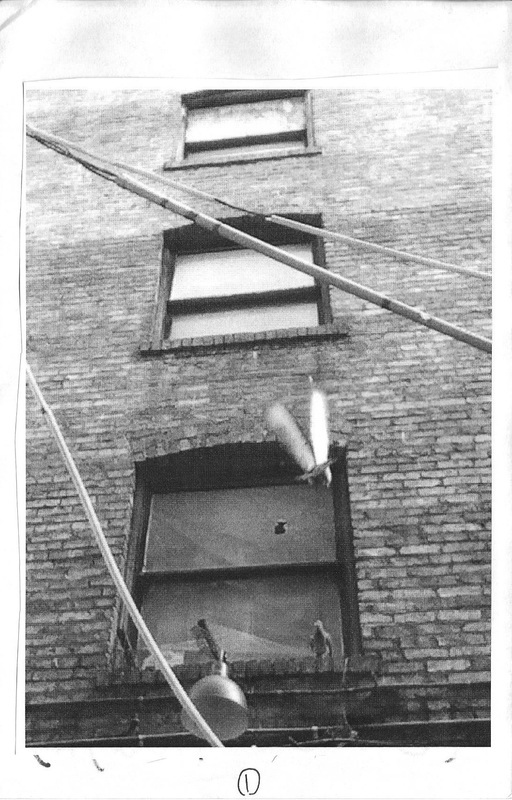 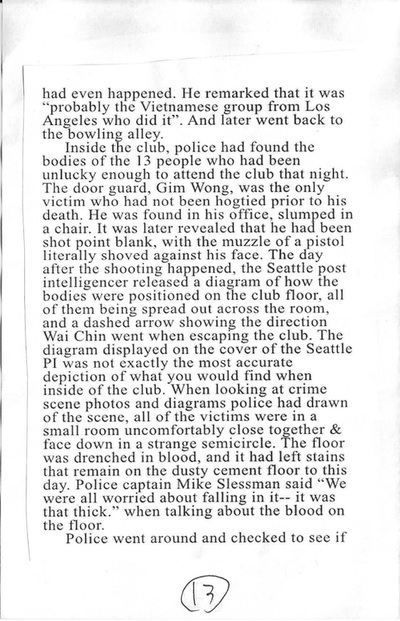 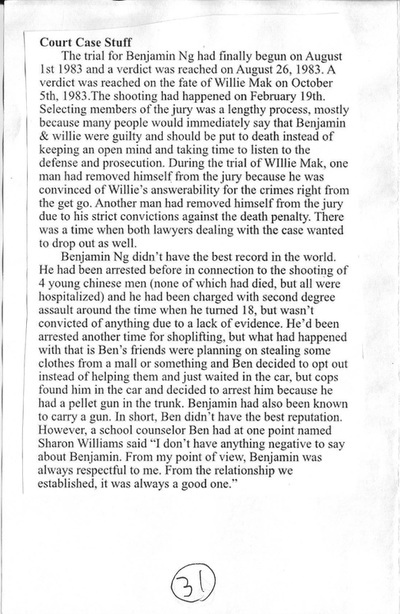 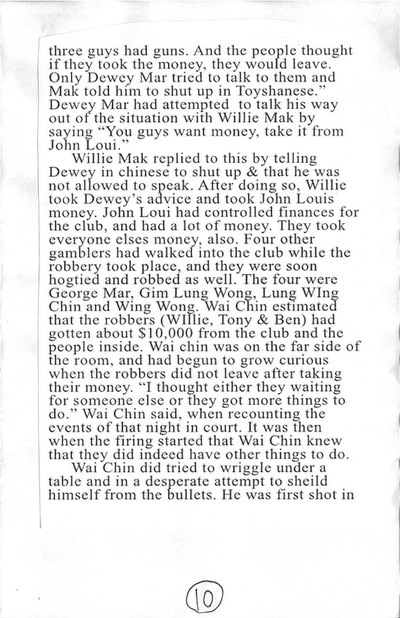 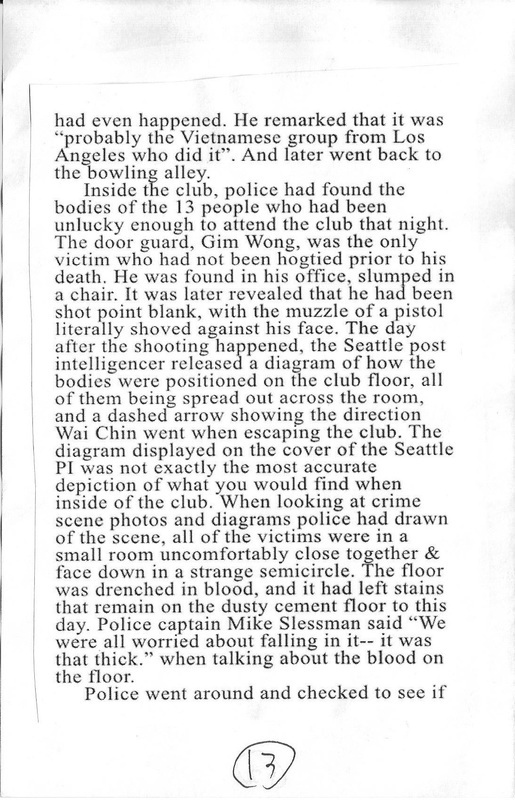 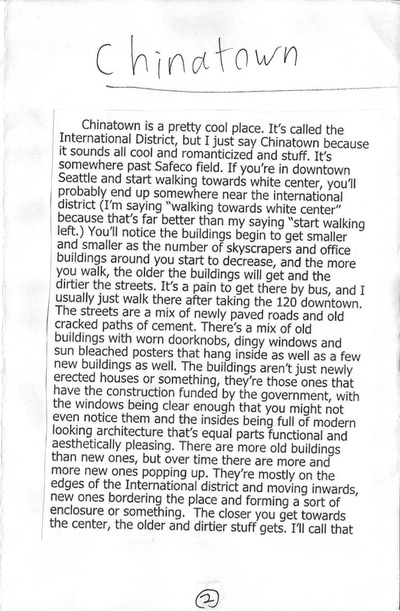 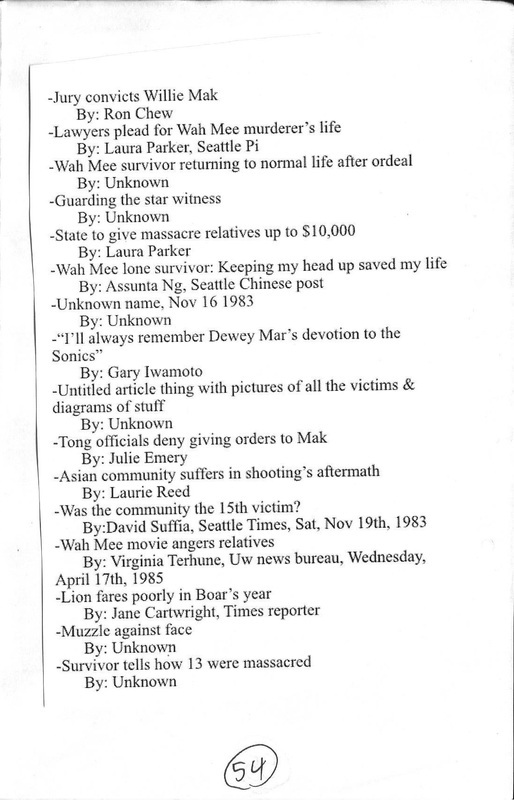 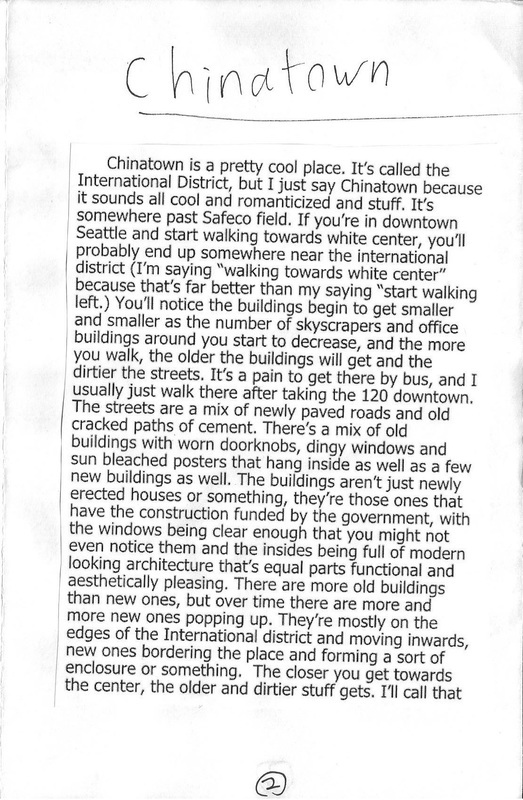 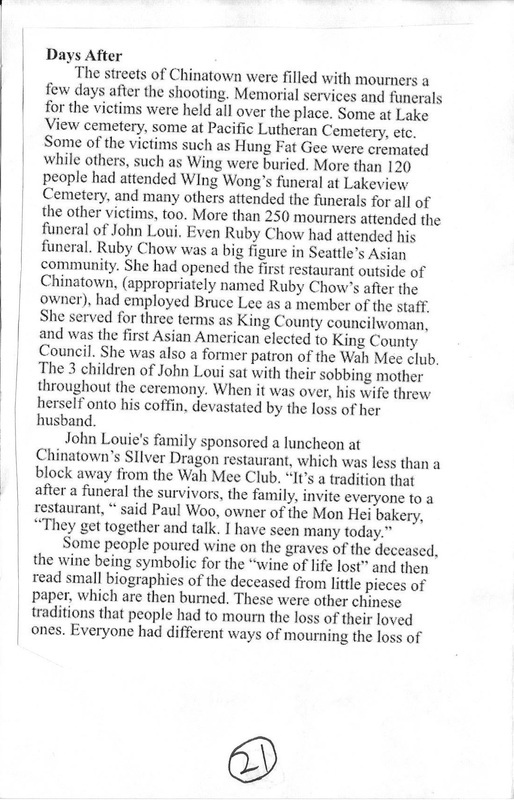 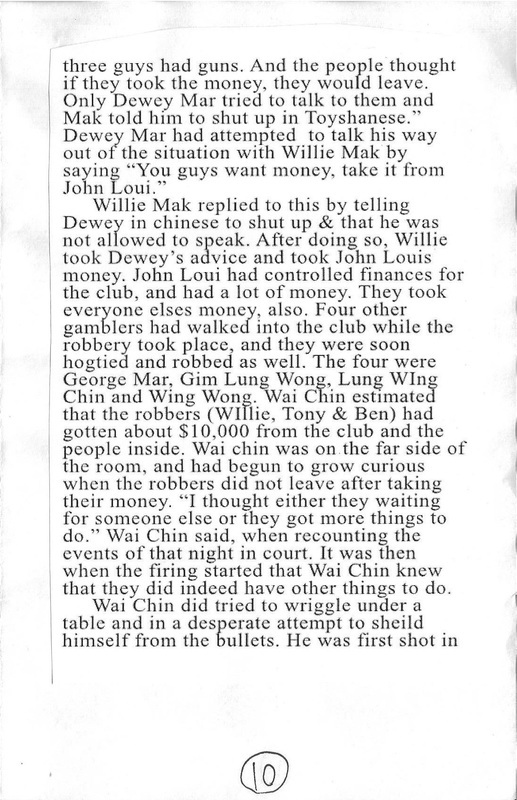 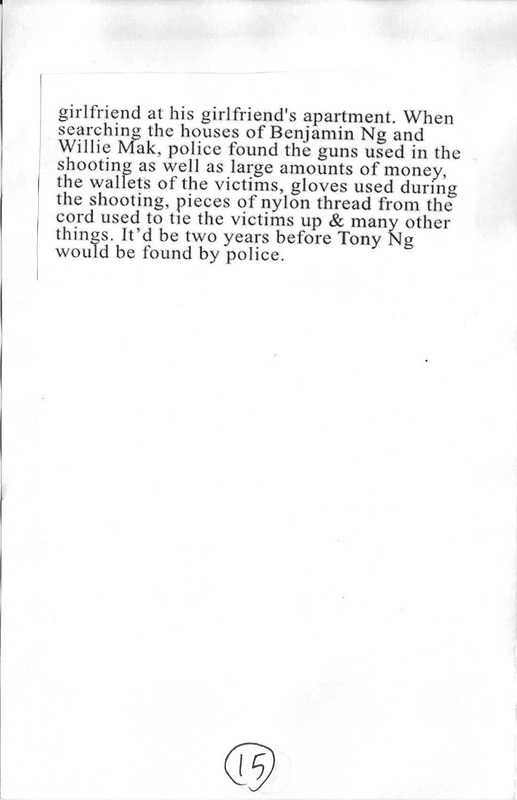 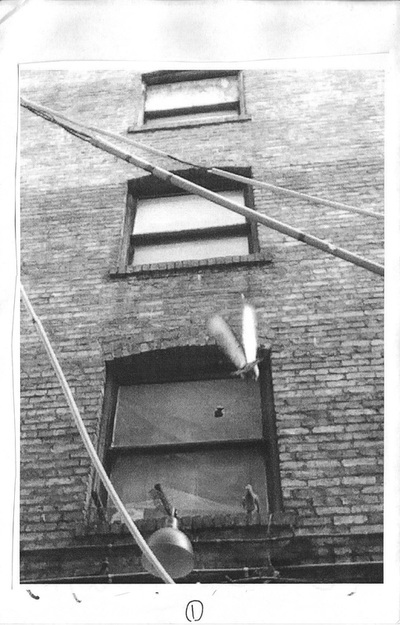 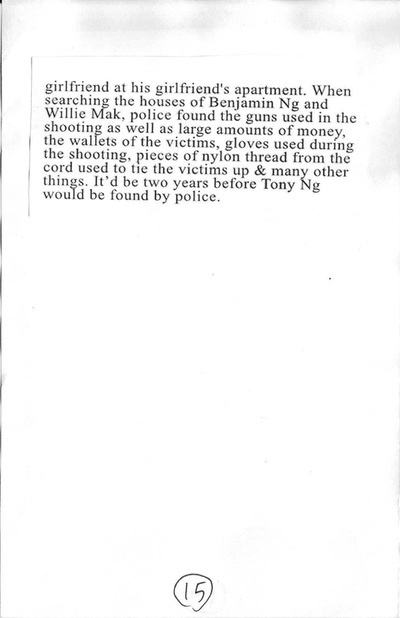 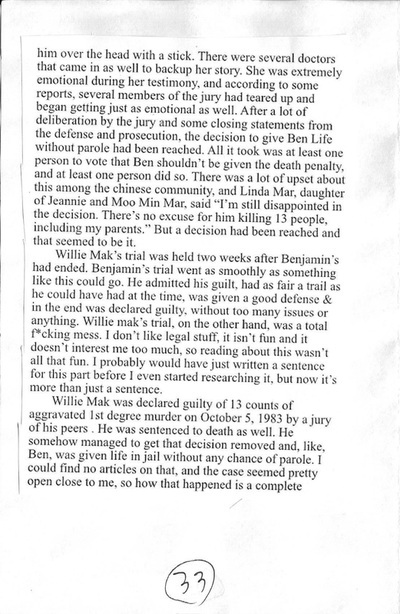 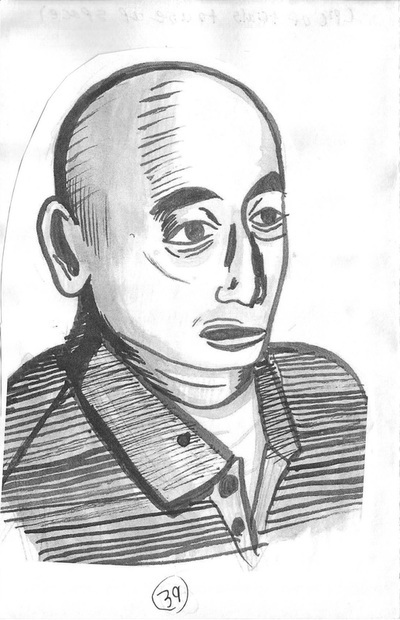 It was published & started before Tony Ng became eligible for parole, and all of the information in this zine was sourced from old Newspapers that can be found in the archives of the Wing Luke Museum in the international district. 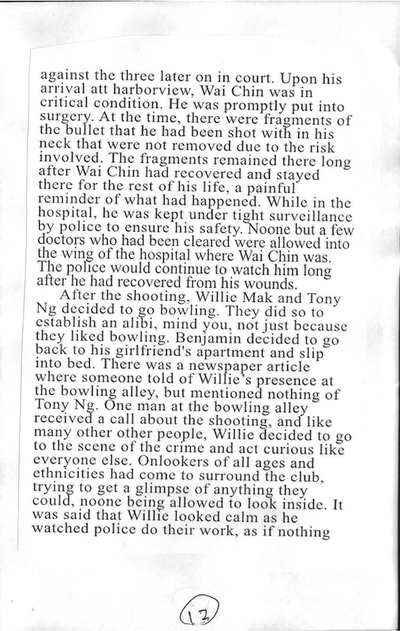 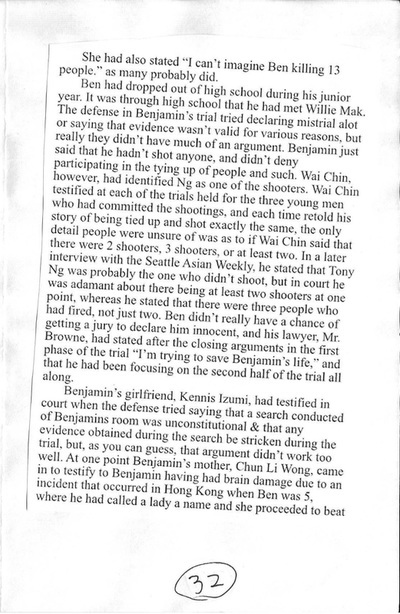 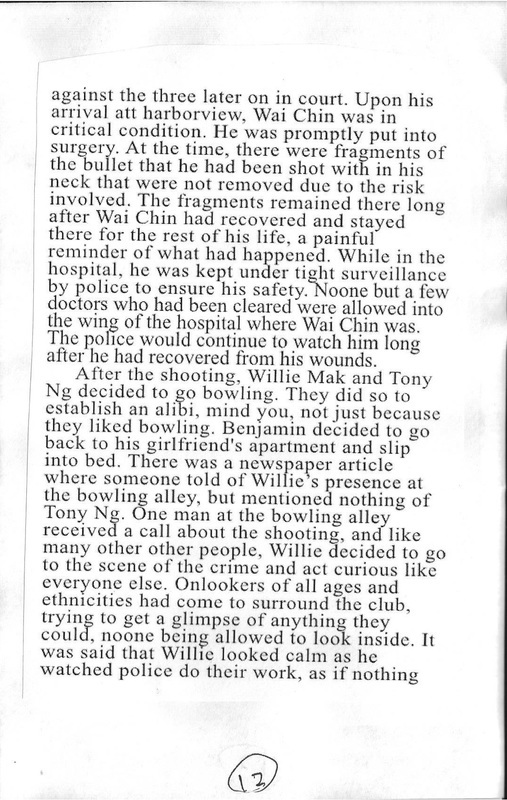 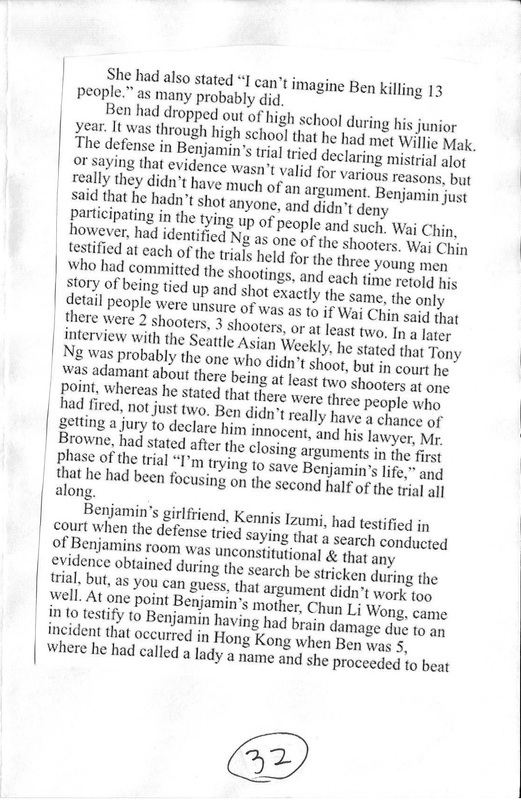 After Tony Ng was deported to Hong Kong, the Wikipedia article on this incident become super comprehensive, but before that this was one of only two books that had ever been published on the shooting. The other book by Todd Matthews feels to sensationalize the incident too much, and seems to lose sight of the tragic nature of the killings. Making this zine taught me so much about the history of the international district, Asian American history, prejudice that Asian Americans face, and it also made me a whole lot more sensitive to disasters like this in the media & really taught me alot about the value of human life. 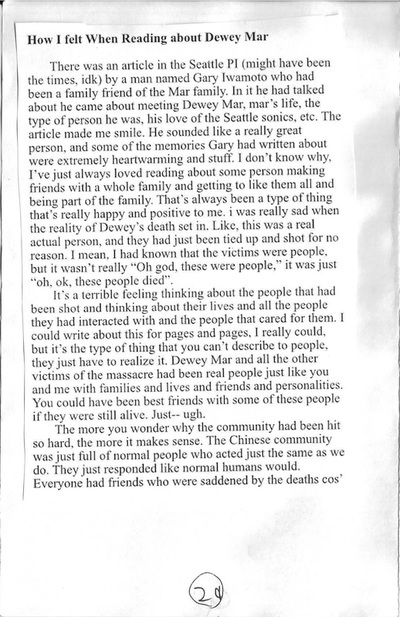 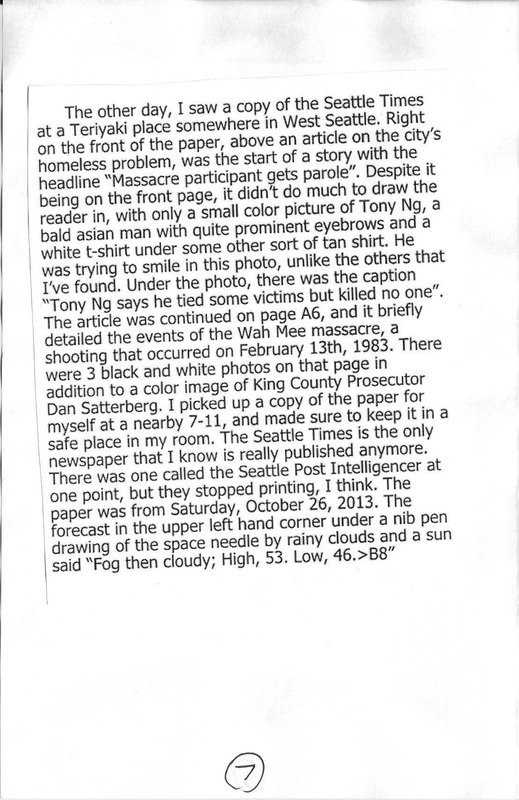 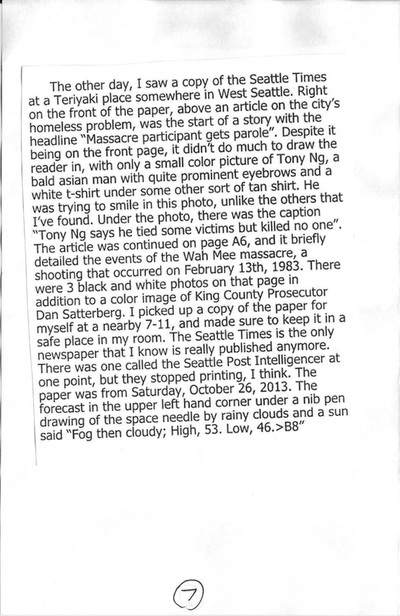 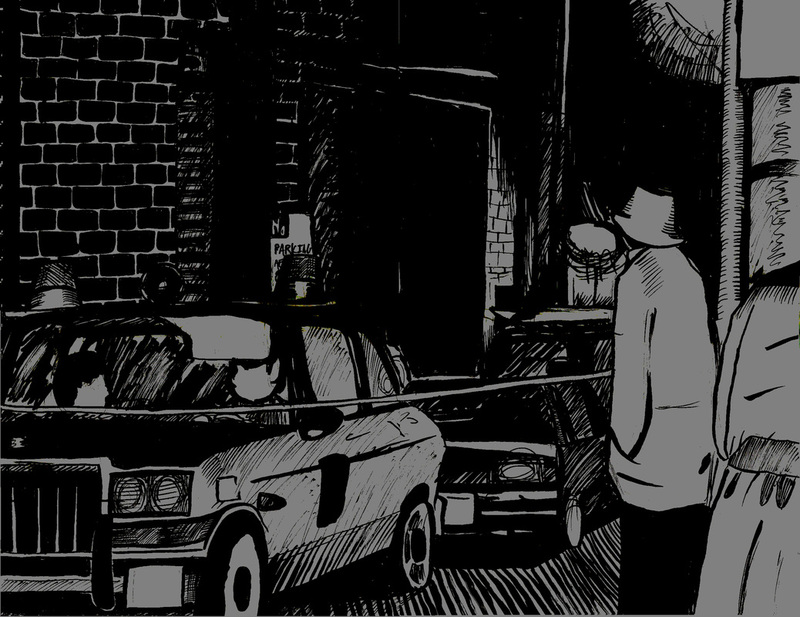 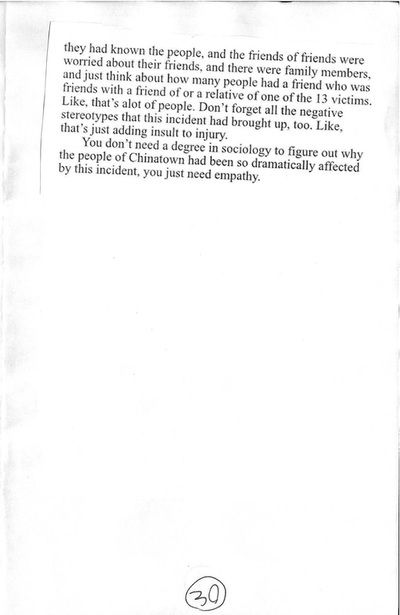 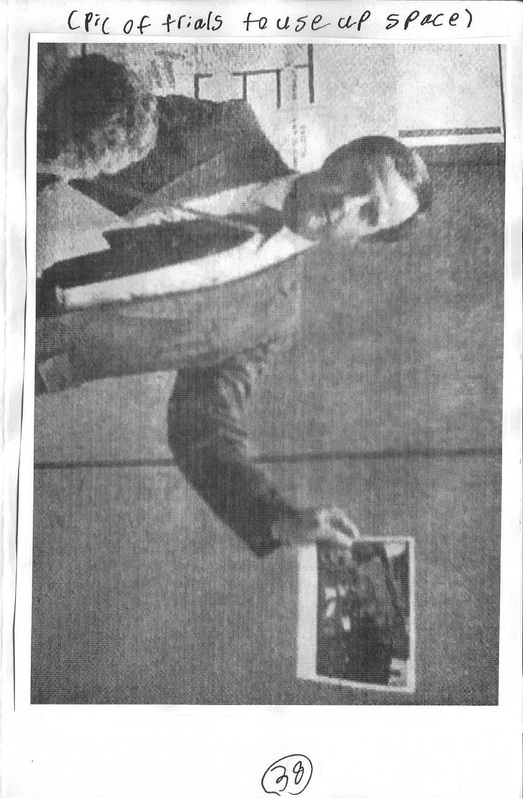 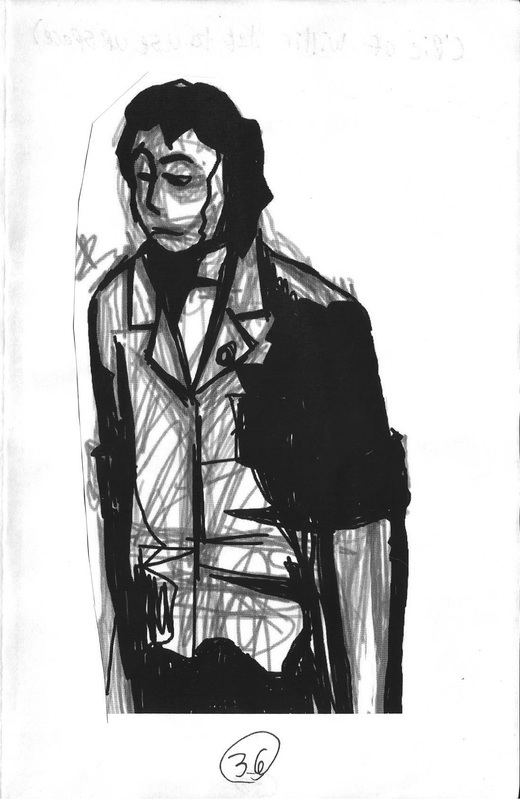 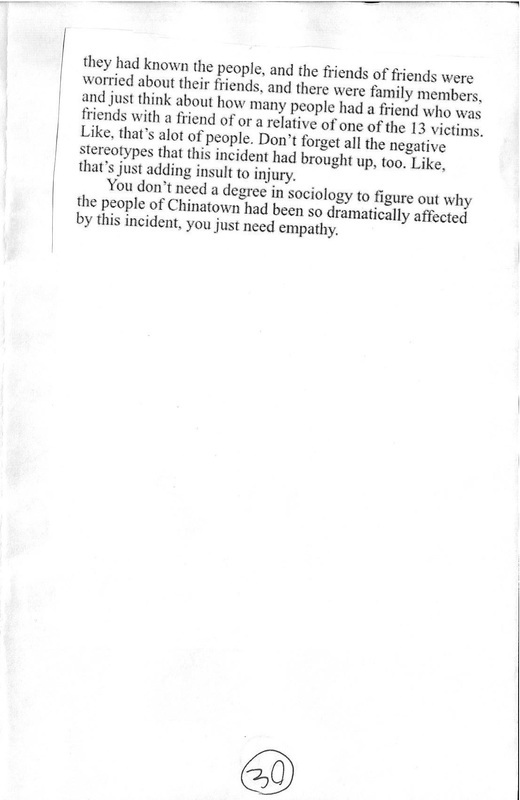 Out of respect for the families of the victims of this incident, I refuse to continue selling or publishing this zine. 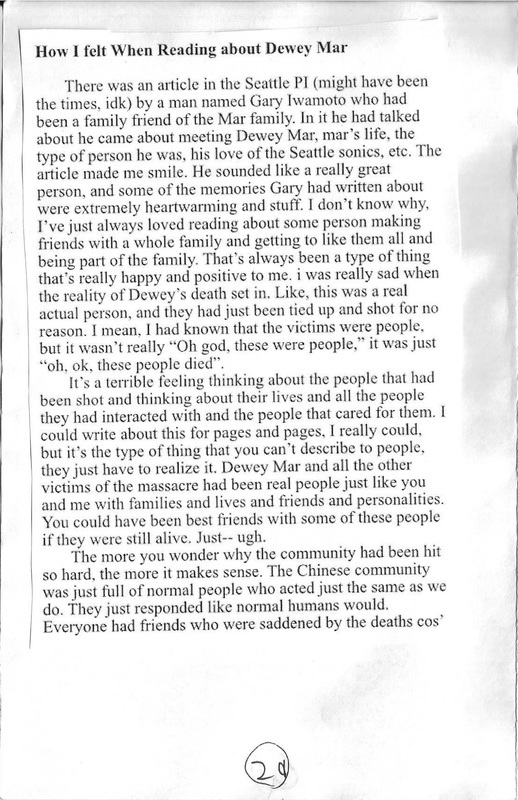 However, since this book was very important to me when I made it, I'm putting it up on here for people to read. 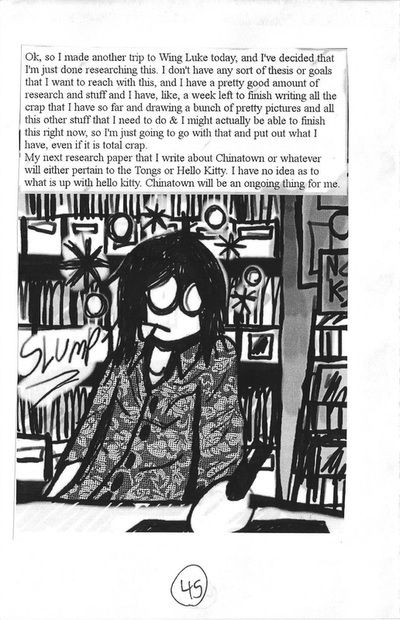 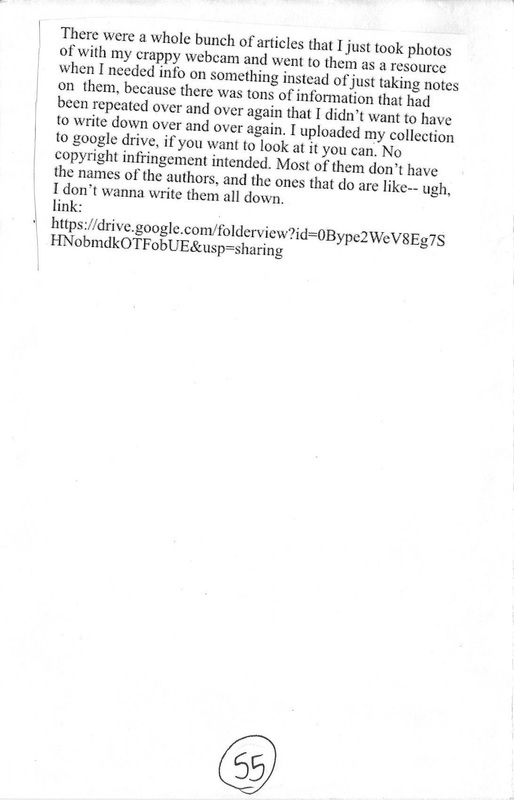 If you'd like to download it, there's a Mediafire link to a zip of this zine at the bottom of the page. 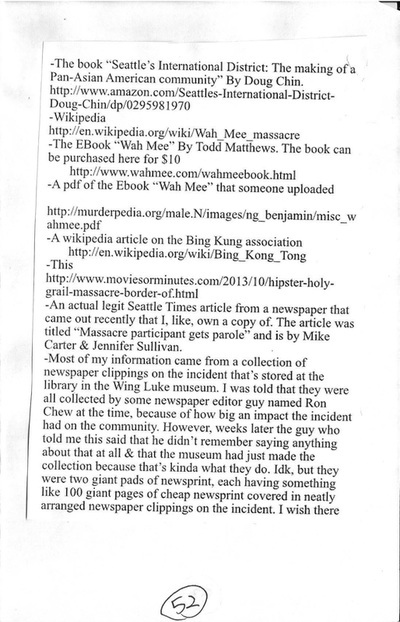 I hope you enjoy reading "Massacre", and please forgive me for any distasteful handling of this sensitive piece of history. 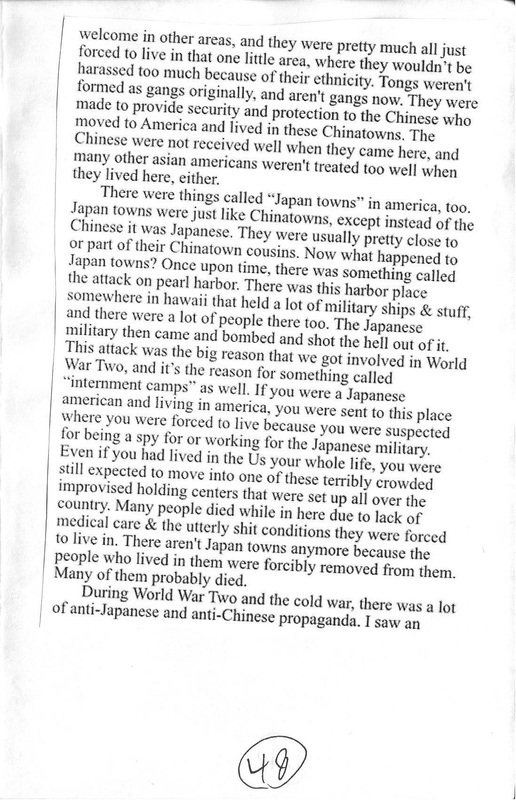 I was young & ignorant at the time of writing, and didn't know better. 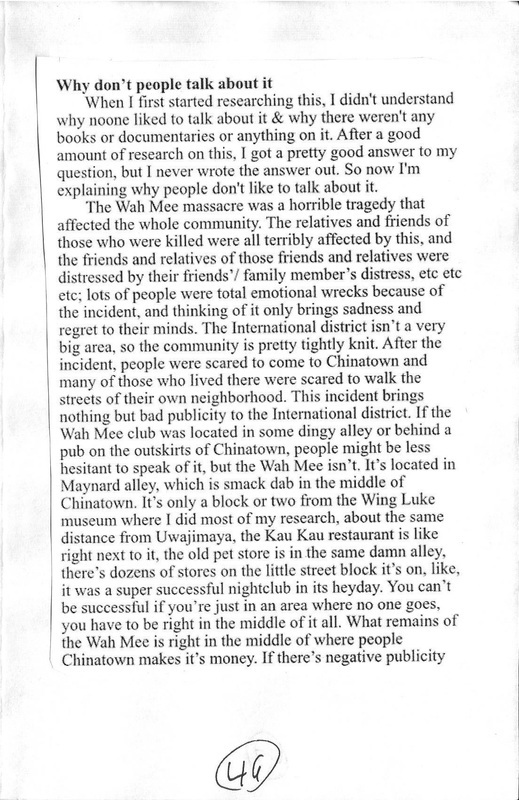 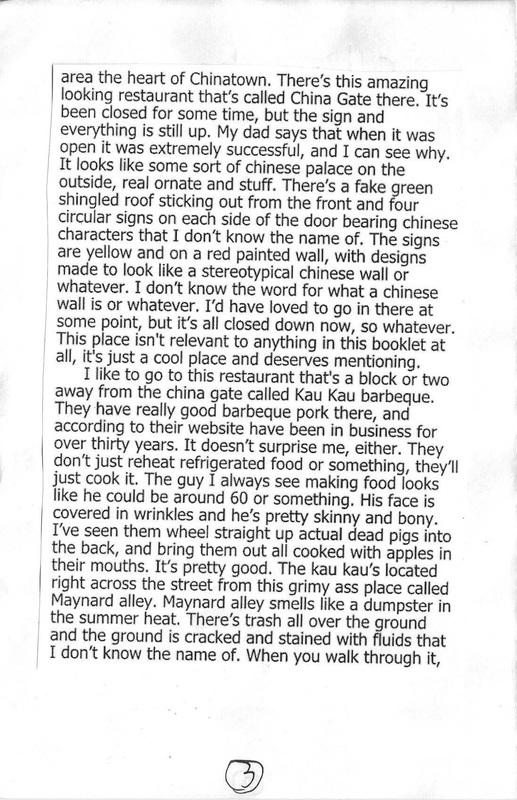 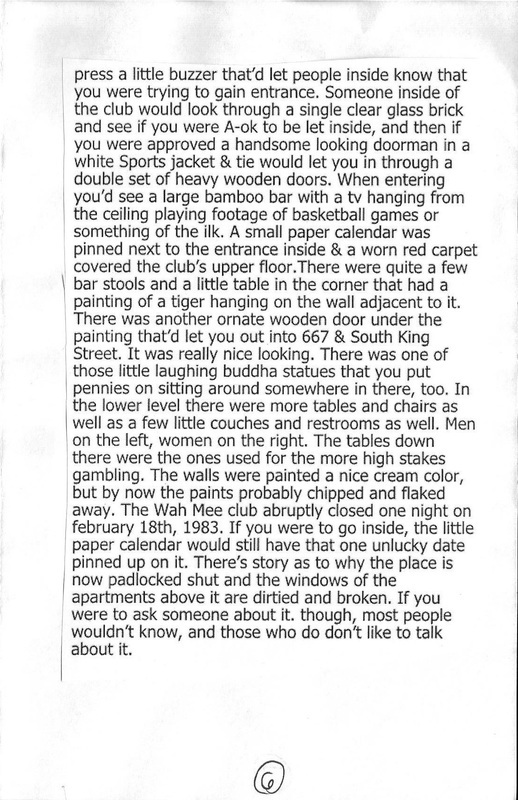 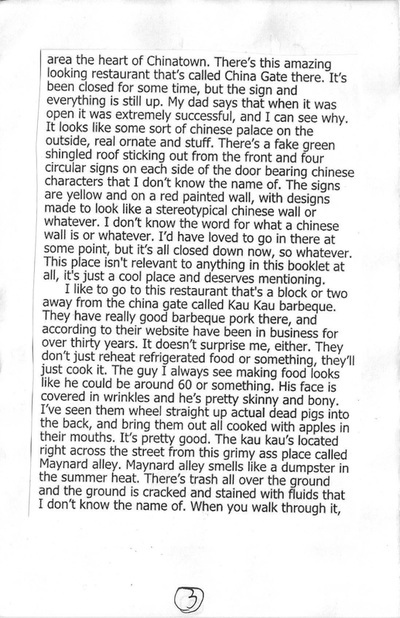 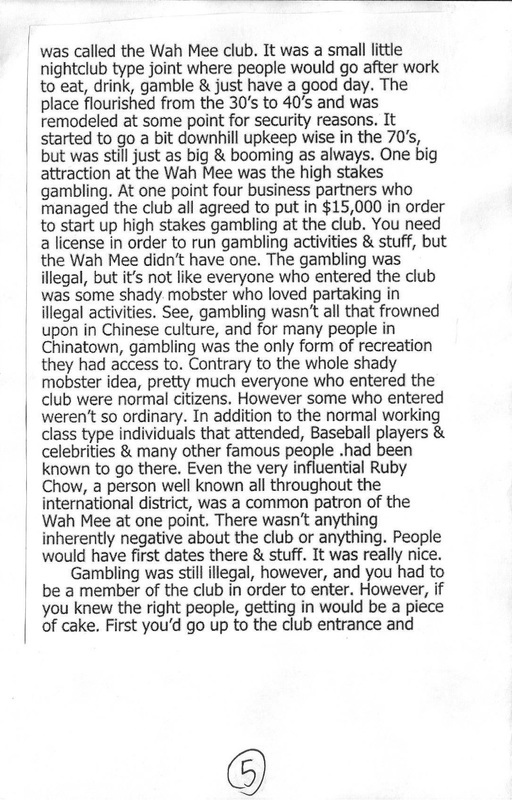 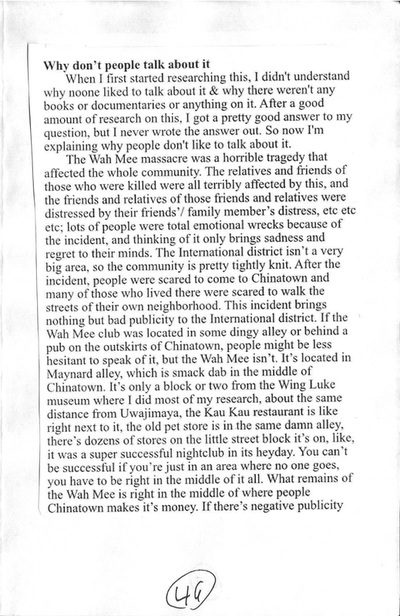 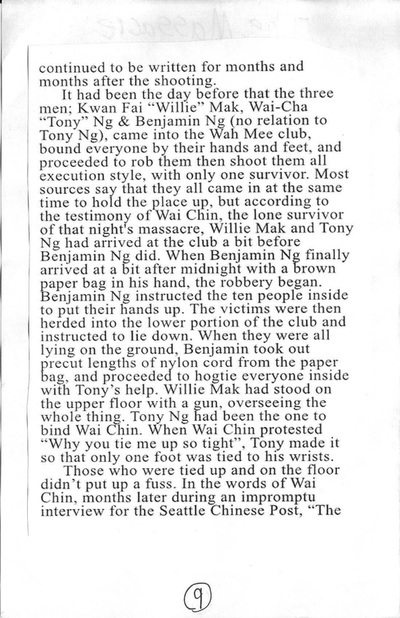 After writing this on one sleepy day in December, the building where the sealed Wah Mee club remained caught on fire. 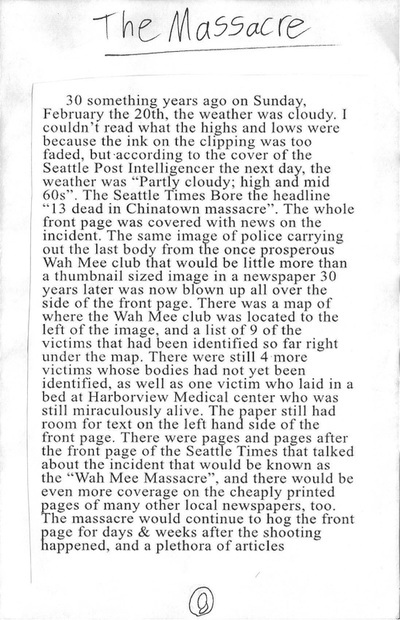 I went there the day after to see what happened, and the air was full of ash & smelled like a campfire. 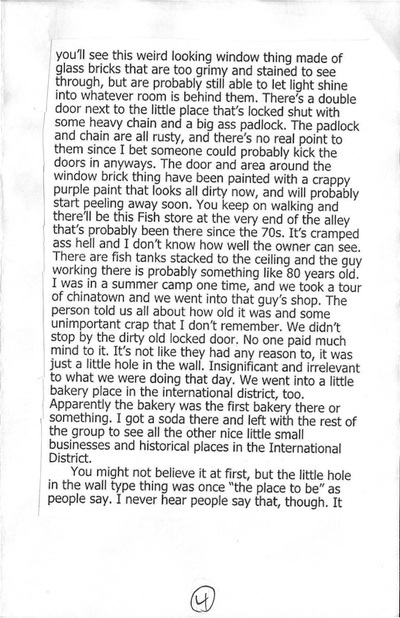 It was horrible to see, and made me feel very sad for all the small businesses housed there. 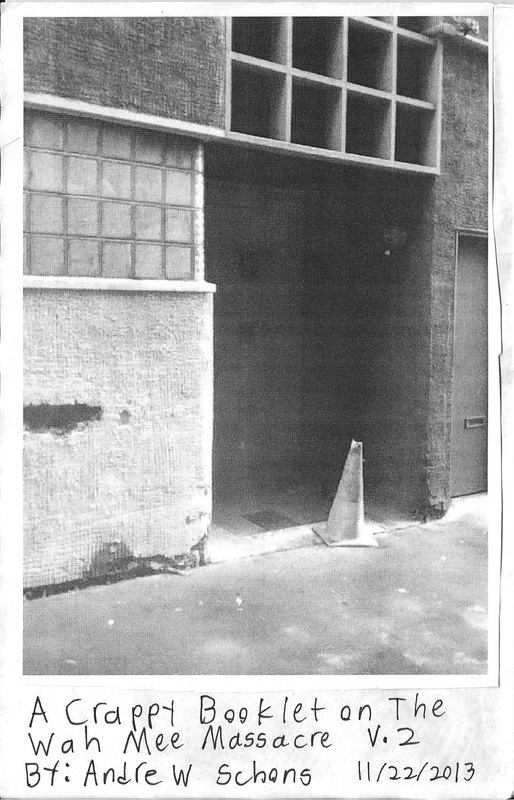 The building was later demolished, and a rude security guard who sounded like he was a Muppet that'd been fucked in the mouth too many times, told me that it was being turned into a parking garage. 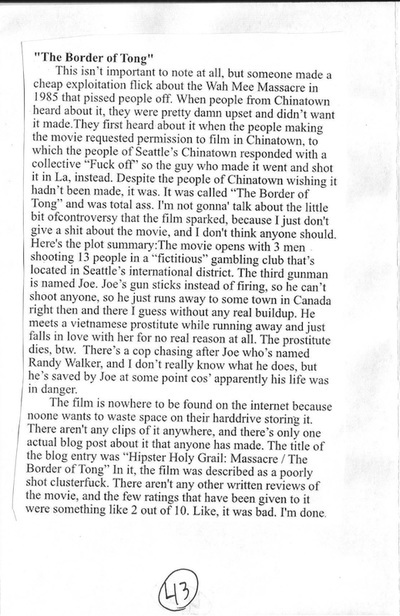 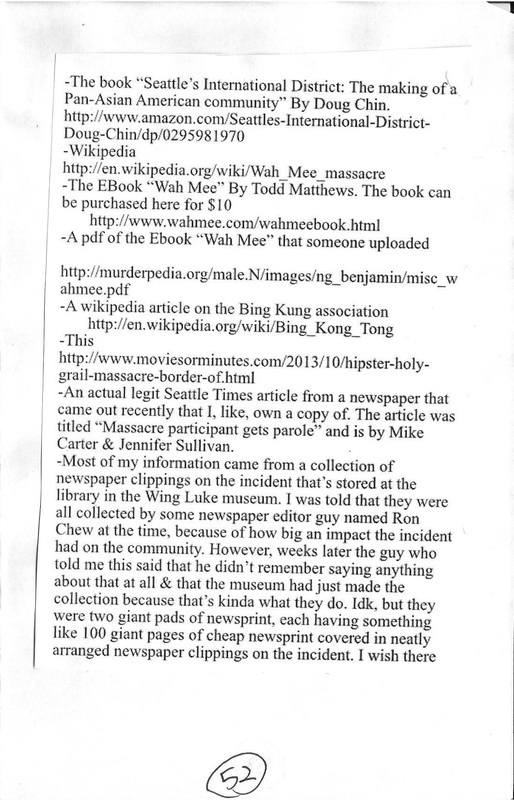 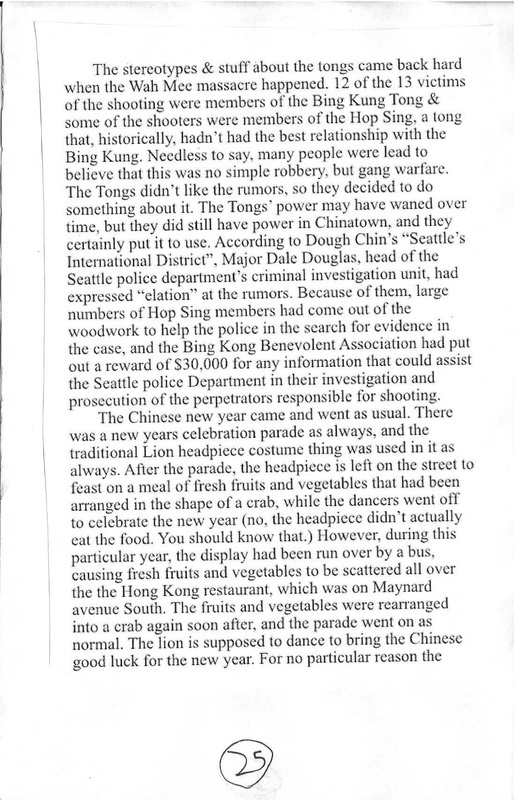 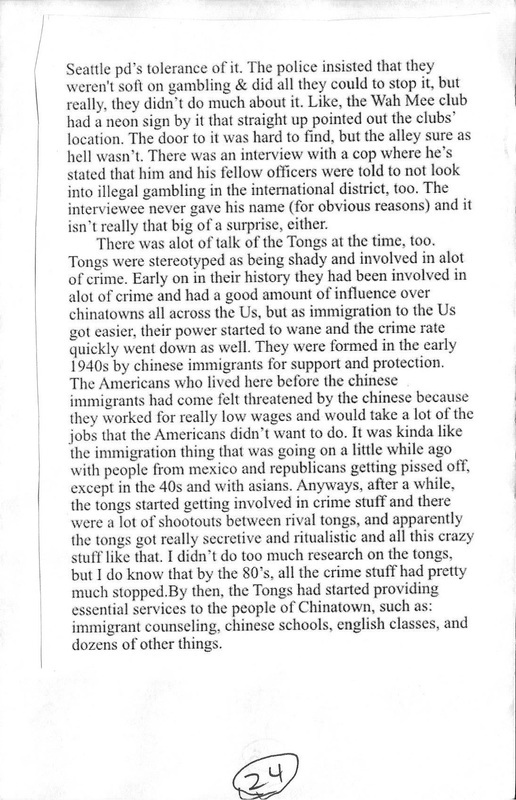 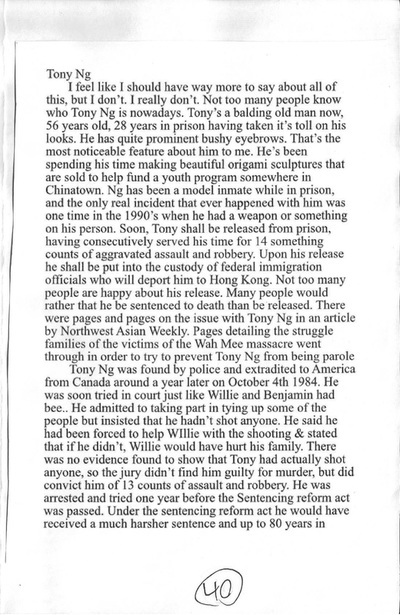 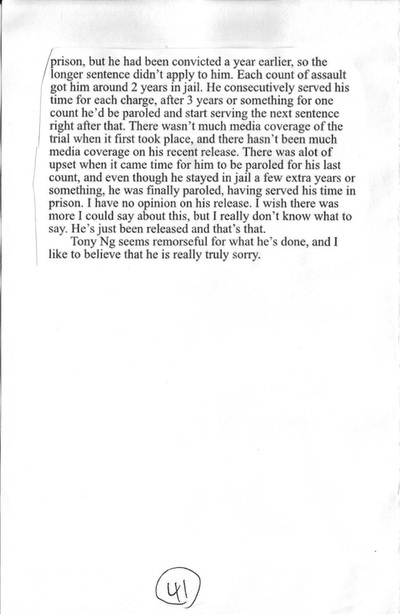 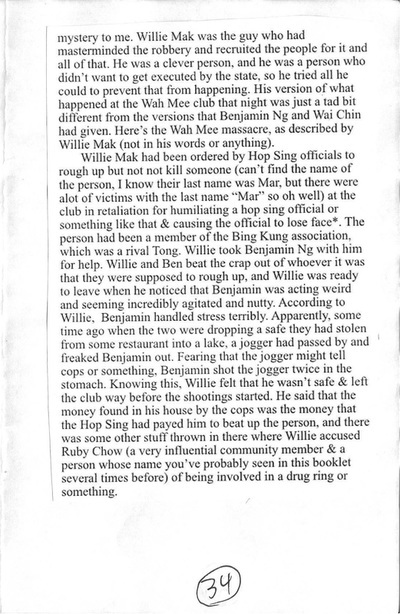 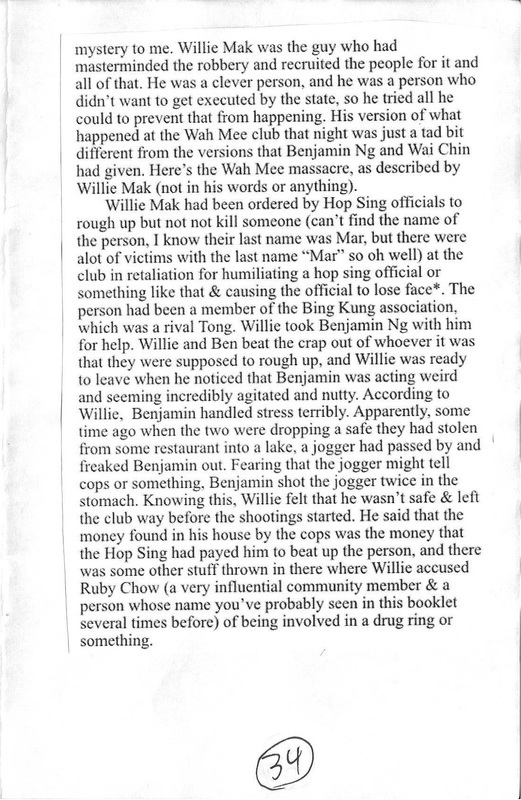 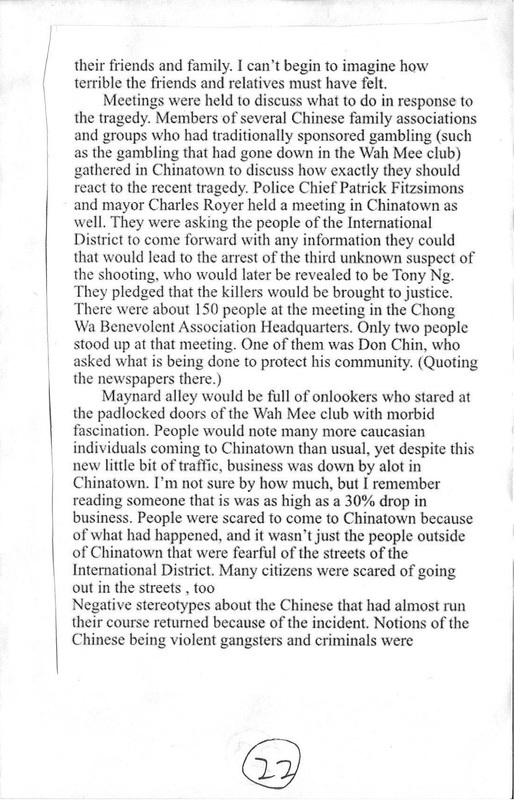 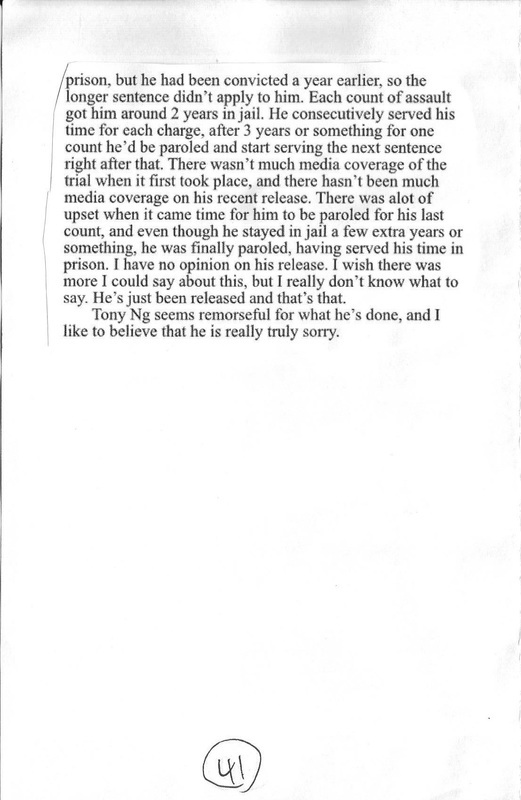 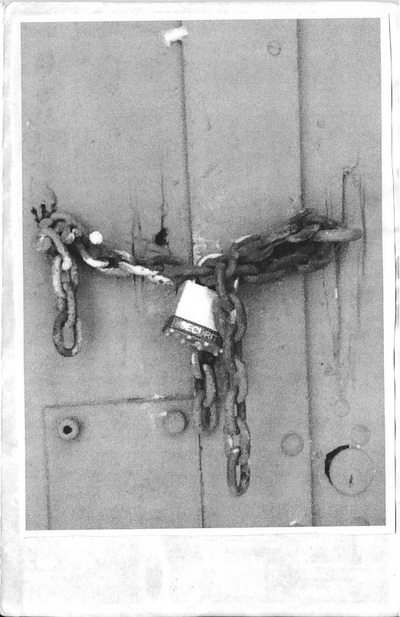 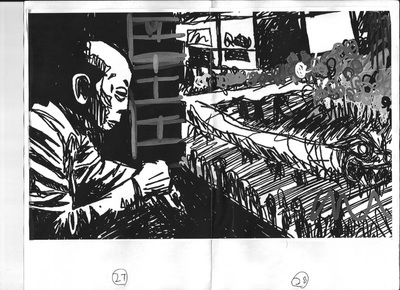 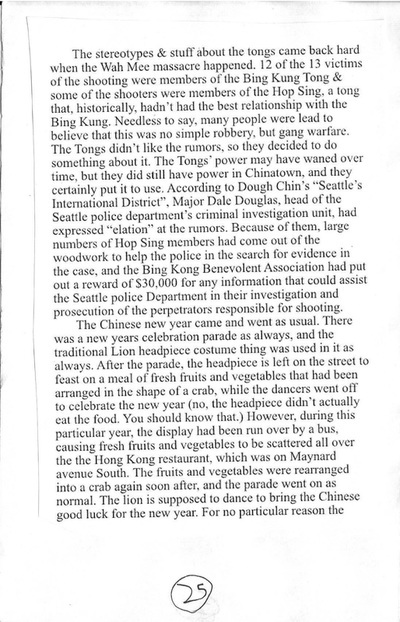 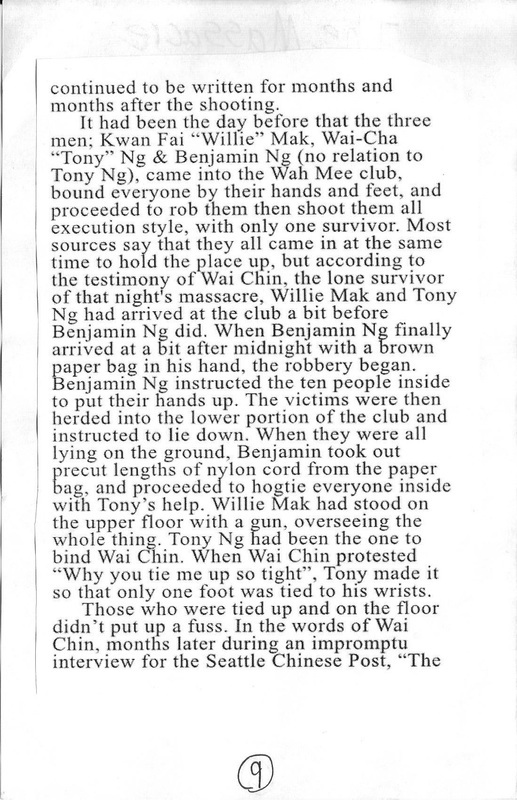 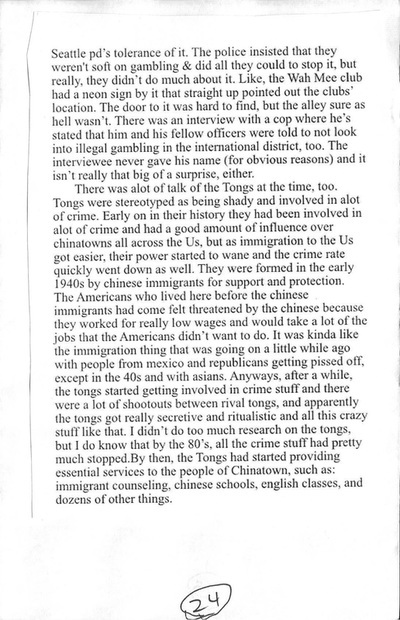 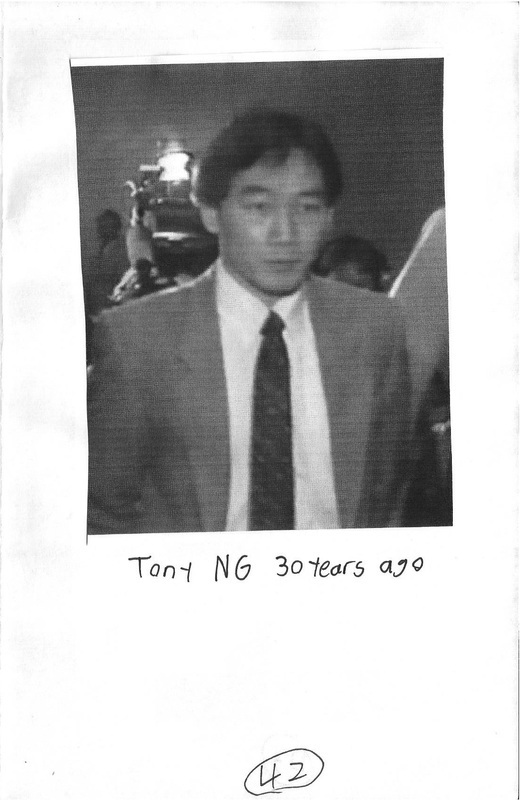 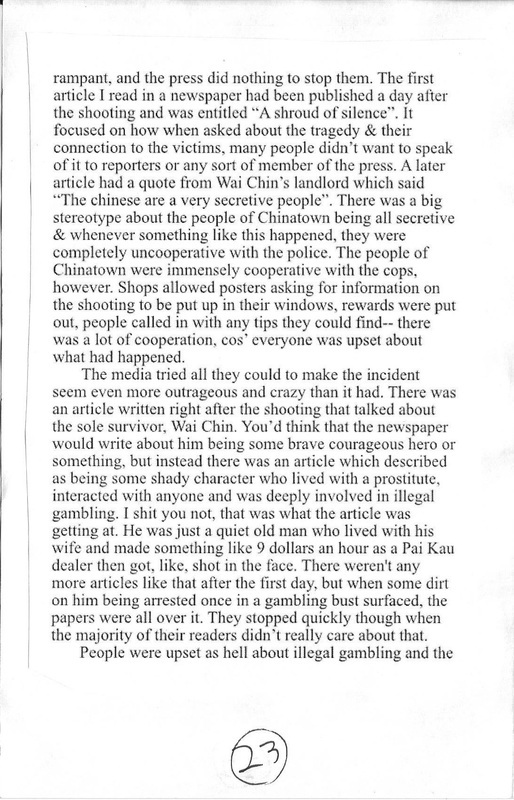 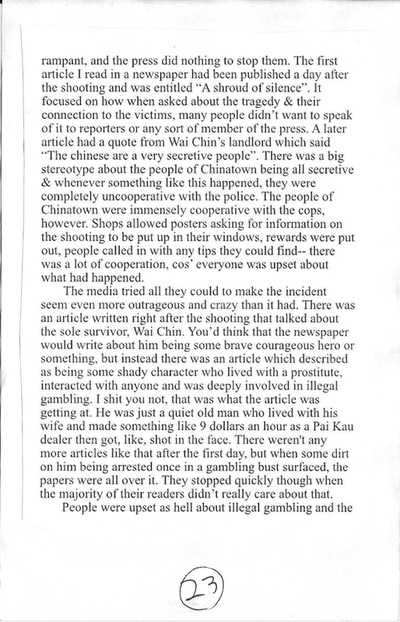 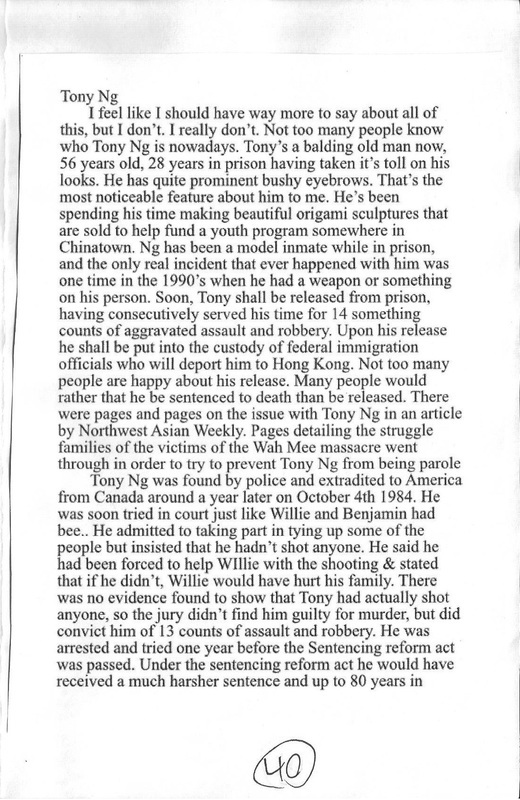 Tony Ng got deported to Hong Kong, this story blew up again, everybody did research & put the story of the massacre out there & this zine was rendered obsolete.